German born and New York-based fashion and music photographer Eva Mueller’s work keeps her in transit.  City Lights, Pedestrians, and Tarmacs is part of a larger series of work she calls Hazyvision. Moving beyond her commercial and people-based fine art work to focus on non-figurative photography, Mueller sees Hazyvision as an ever-evolving body or work, documenting the intersection of experience and imagination. Encapsulations of motion and light, life in transit hyper realized. With this series of work, Mueller moves beyond her fascination with the human form to examine her surroundings, shifting focus from subject to context and bringing background to forefront. Eva’s images combine the textural appeal of fine art painting with a precise almost graphic composition in richly saturated colors. Eva Mueller paints these abstract images with her camera mostly while traveling, like the sign language of airport tarmacs, the blurred luminescent colors of cities and their dwellers at night, or the motion patterns of life in transit. Eva’s images combine the textural appeal of fine art painting with a precise almost graphic composition in richly saturated colors.